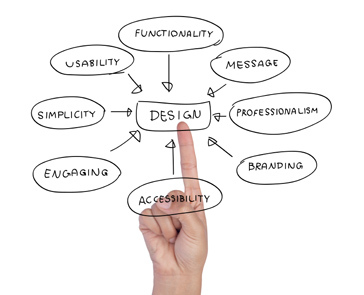 Graphic design plays a critical role in every interaction you have with your customers. Even before the first word of any marketing piece is read, an impression about your company is conveyed by its visual impact. This happens with all marketing collateral including brochures, packaging, book covers, website design and print ads. Updating or creating new materials can be a very effective way of adding pizzazz to your company and its offerings. We focus our designs on typefaces, illustrations and images. We use typography, visual arts and interface designs and page layout techniques to create effect graphical designs. Our services include magazine layouts, print and online advertisements, product packaging and web design. We can design and print newsletters, brochures, fliers, CD covers, restaurant menus, ads, promotional items, signage, postcards, web banners, email campaigns, company logos and so much more. Stand Out Get More Sales! A well-designed cover instantly communicates the content and the theme of a book. It communicates to your audience that you, the author, are professional, credible and knowledgeable in your field. Having	a great	book cover will assist you with growing your audience and reader fan base with less effort. A striking book cover, designed professionally, and united with great writing will be phenomenon for an author's career. We design attractive book covers for self-publish authors. Your book deserves to be skillfully presented, with a great design that totally captures the essence of your story. Whether seductive, prominent, lively, captivating, spiritual, enchanting or mysterious; the eye-catching appeal of a meditatively design sets the stage for the opening of a book. The first impression does matter! Don't trust your book cover design to just anyone - don't take any chances by using an amateur designer. We have to have the right typeset, the right balance, the right images; the details are not the details, they make the design! Even though we hate to admit it - we all judge a book by its cover. The color, the typeface, the images and the layout all give us an immediate impression of what a book is about, and we decide if we like it – in less than 8 seconds. If we like the cover, we'll open open the book to read table of content and then make the decision to purchase the book or not. If you fail to capture the readers attention with your cover design, you stand the chance of missing a sale. So it pays to get your cover right the first time around. You worked hard in writing your book and we will work hard in designing the perfect cover. Your business card will make or break you! Business cards tell a story, and can transmit the essence of your brand. A business card is a sales piece, a mini ad for you and everything you stand for. The perfect business card is intended to be an experience as much as a source of information. Creating the perfect business card is just a matter of finding the right balance between the two. It's essential to create a clean design with readable text and less clutter. A card that looks too busy will hide the message your business is trying to convey, and it will become lost on potential customers. A unique business card will make you, and your business, stand out. You can also experiment with different patterns, textures, colors, and fonts. Emboss it, embellish it, or try a different shape. It all depends on what line of work you're in, and even your personality, you may want a more traditional design. Your logo is a visual representation of everything your company stands for. Ideally, your company logo enhances potential customers first impression of your business. A good logo can build loyalty between your business and your customers, establish a brand identity, and provide the professional look of an established enterprise. There are basically three kinds of logos. 1. Font-based logos consist primarily of a type treatment. 2. Logos that literally illustrate what a company does, such as when a house-painting company uses an illustration of a brush in its logo. And 3. Abstract graphic symbols-such as Nike's swoosh-that become linked to a company's brand. Once we've produced a logo that embodies your company's mission, make sure you trademark it to protect it from use by other companies. You can apply for a trademark at the U.S. Patent and Trademark Office Web site. We would love an opportunity to design something for you. Business Cards, Brochures, Company Logos, Letterhead, Envelopes, Postcards, Flyers, Posters, Pocket Folders, Invitations (Wedding, Save the Date, Baby Showers), Announcements (Graduation), Catalogs, Manuals, Newsletters, Calendars, Sticky Note (post it), Mouse Pads, Banner ads, Tickets, Door Hangers, Thank You Cards, Folding Cards, Email Advertisements, Magazines, Rack Cards, Company Note Pads, Carbon Copy Forms, Menus, Yard Signs, Vinyl Banners, Stickers, Return Address Labels, T-shirts Designs, Company Key Chains, Magnets, Magnetic Car Signs, Company Pens, CD Covers and DVD Cover and so much more! 1. To be consistent without distorting the brand. 2. To improve your marketing efforts. 3. It will help you understand your business tone, expression and character better. You have to set specific colors for your identity and maintain consistency. Your colors set the tone for your brand. Add specific elements for your identity, including trademarks, image styles and brand signature. Everything need to be consistent in all communications, including your website. It's better to limit your font choices to two, but no more than three. Too many fonts will break the consistency of your visual identity. A tone has to be delivered in as much detail as possible. Are you professional, corporate, friendly, humorous etc.? Your tone will create your personality for your company or your project; it has to be clear. Put your best marketing foot forward! The menu is a defining aspect of a restaurant. It is also a restaurant's most influential marketing tool. It does not end there; the menu is connected to every other aspect of a food service operation. You will use the items on your menu to help market your restaurant concept. Without your menu, you have nothing to promote. Once the menu is in place, you can begin working on your restaurant’s design strategy and marketing campaign. Your menu is your number one marketing tool. A well-designed menu will incorporate your brand’s designs and highlight your restaurant's most profitable items. This will subtly influence customers to develop brand loyalty and order dishes with high margins. When designing your menu, follow these tips: Keep menu space clean and avoid overcrowding Arrange menu items strategically Include inserts for special offers use quality graphics and photos. In addition to the menu design, the written copy and descriptions in your menu will introduce your restaurant and your food items to the customer. A well-written menu will help guide customers in their ordering. A well-designed menu is also a tool to create a customer's positive anticipation for a delicious meal. When writing your menu, be sure to use descriptive, vivid wording, and always proof read it for spelling and grammar before printing. Inventory all of the products you wish to include in your product catalog. Organize them by type, by model, by name or in whatever way you feel is most appropriate. Write down all of the pertinent information for each product, including its size, components, packaging, order number and cost. Take pictures of each of your products.The photos should be clear and sharp, allowing customers to see exactly what the product is and what it does. You may wish to take pictures from different angles to show every side of the product. Lay the product on a white or dark sheet (whichever one helps it stand out more) and raise the sheet behind it using chair backs or something similar, to remove any details from the background. There should be as few other objects in the picture as possible (ideally nothing, though a stand or holder may be necessary if the product requires it). Now is not the time to allow yourself to get lost in the shuffle; more than ever, job seekers need to differentiate themselves from the competition. That means applying new techniques to get prospective employers’ attention, techniques such as creating an online resume or online portfolio. An online resume or 'E-Resume' is either an email version of your resume or a small website set-up so that with just a couple of clicks, you can send out your resume, either in the email, as an attachment, or as a link, to potential employers. Within seconds your potential employer will receive it in his or her email box, something visited far more frequently than a postal mailbox. E-Resumes get the job done faster and more efficiently! If you opt to turn your E-Resume into a website, you have the opportunity to showcase your personality, and if depending on your professional, examples of your work! Eye-catching colors and even a professional-looking photo of yourself can give your potential employer an idea of your personality and level of creativity. Choose from a one page resume or a several page resume website. Add page hosting or use a generic name within our website. Employers can contact using your email address. E.g. You could use a home page as an introduction page, an 'About' page as you would a cover letter, a 'Resume' page that houses the same fabric as your actual resume. You could also add your job references. Some things never get old. Creating resumes the old fashion way, type and print, has been around for so long now, there's no need for us to explain.